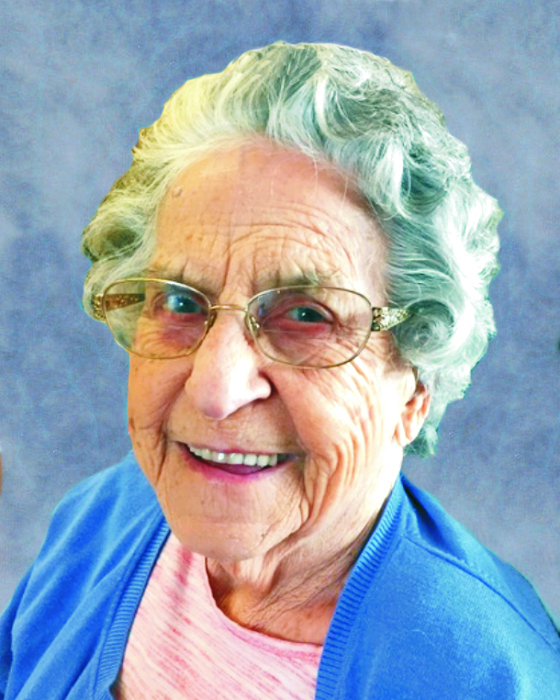 Goldie Alice Manning, age, 89, of Camargo Road, Mt. Sterling, KY passed away on April 7, 2019 at Harmony Center in Xenia, Ohio after an extended illness. Goldie was born in Ezel, KY on March 3, 1930 the daughter of the late Newt Ross and Cora Alice Lawson Ross. Goldie was a member of the Camargo United Methodist Church, she accepted Jesus Christ as her personal savior. She was a retired seamstress from Cowden Manufacturing. Goldie is survived by her son, Herman K. (Evelyn) Brown; two granddaughters, Stacey Faye (Benjamin) Charles; Emily Joan (Jeremy) Patton all of Xenia, Ohio. Nine great-grandchildren, Austin Charles, Ethan Charles, Isaac Charles, Elijah Charles, Liana Charles, Violet Charles, Micah Patton, Grant Patton , Genevieve Patton. sister Ollie May (Paul) McGuire of Lexington, KY; brother Billy Taulbee of Ezel, KY. Proceeding Goldie in death was her parents Newt Ross and Cora Alice Lawson Taulbee and her husbands, Dorsey W. Brown, Troy Linkous and Roy Manning. Two sisters Wilma and Lucille Masters, three brothers Lonnie and Rollie Taulbee and Charlie Ross. Funeral services will be held 1:00pm Thursday April 11,2019 at Menifee Home For Funerals with Pastor Ancil Carter officiating with burial following in Ezel Cemetery, Ezel, KY. Visitation will be held 11;30am Thursday at Menifee Home For Funerals,Frenchburg,KY with Randy Halsey, Funeral Director. Pallbearers, Benjamin Charles, Jeremy Patton, Austin Charles, Ethan Charles, Isaac Charles and Matthew Goodrich.